How fun is this?? Here’s a fabulous way make your hot dogs the center of attention for the 4th of July or anytime you’re grilling this summer. My son saw these spiral-cut hot dogs and really wanted to try them . . . we did and I have to report we love them. The spiral cut creates more surface area giving you more crunchy, caramelized meat while creating nice little pockets for your sauces and condiments- Plus, they are just so much more fun than regular dogs! Just insert a wooden skewer through the center of your hot dog. 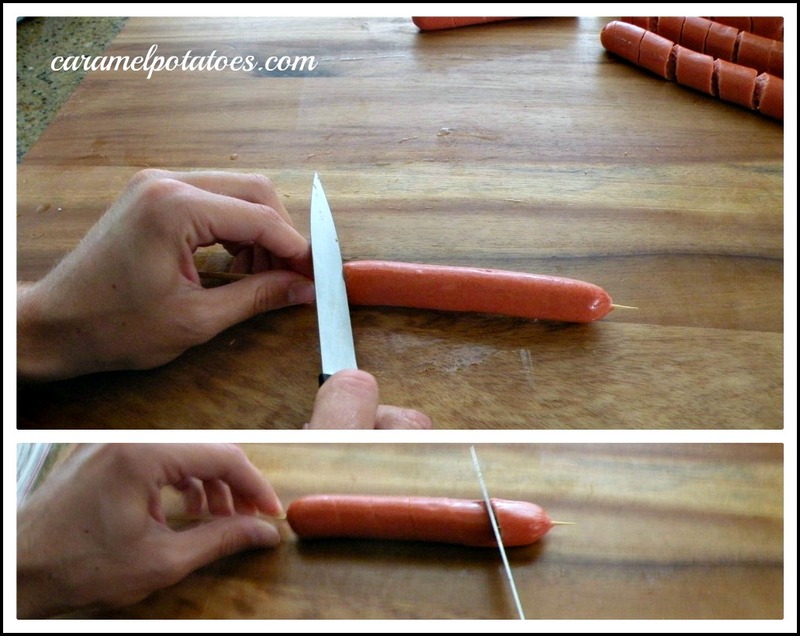 Hold a knife at a slight angle and cut down to the skewer as you roll the hot dog away from you. That’s it! 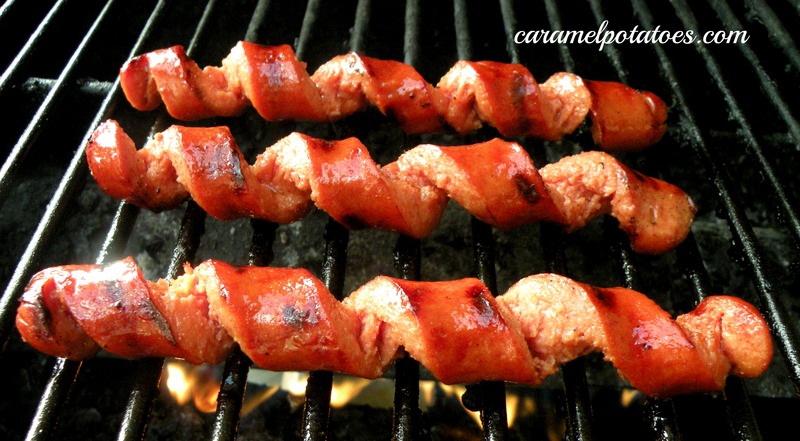 Remove the wooden skewer and place the spiral-cut hot dogs directly on the grill and watch them get nice and crispy! The favorite at our house is to baste them with barbecue sauce once them get nice and brown. The spiral cuts let the bbq sauce ooze down into the dog . . . . mmmmm. Since you’ve got the grill fired up, put the buns on there and get them nice and toasty, then add your favorite toppings! A fast and easy way to add a little fun to your cookout. 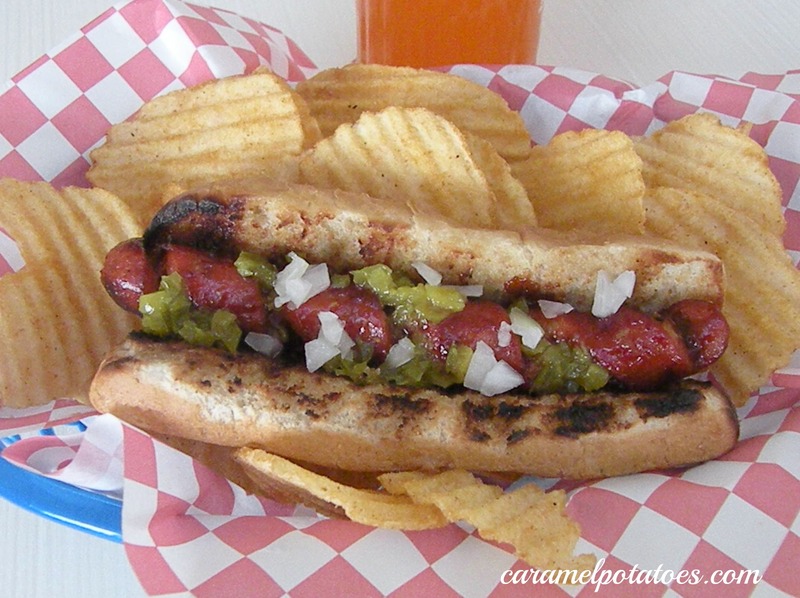 Note: Just use the regular sized hot dogs – once you spiral them they fit in the bun perfectly! Serve your spiral hot dogs with Baked Beans, and be sure to try our Blonde Texas Sheet Cake or Picnic Cake! Wow, I used to love these when my Mom would do this for us on occasion. Isn’t it funny how the little things can make something so special! These are awesome. My son-in-law showed me this Canada Day long weekend. We had a large bonfire and roasted spiral wieners! Great post! Here from Tip Junkie! how neat is this! my dad used to cut our hotdogs so they flared out at the edges, and it’s something i’ll always remember. Wow, I love this! My kids will freak out! Thanks for sharing! 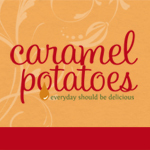 Thanks for linking this up to Sweet & Savory Saturdays! 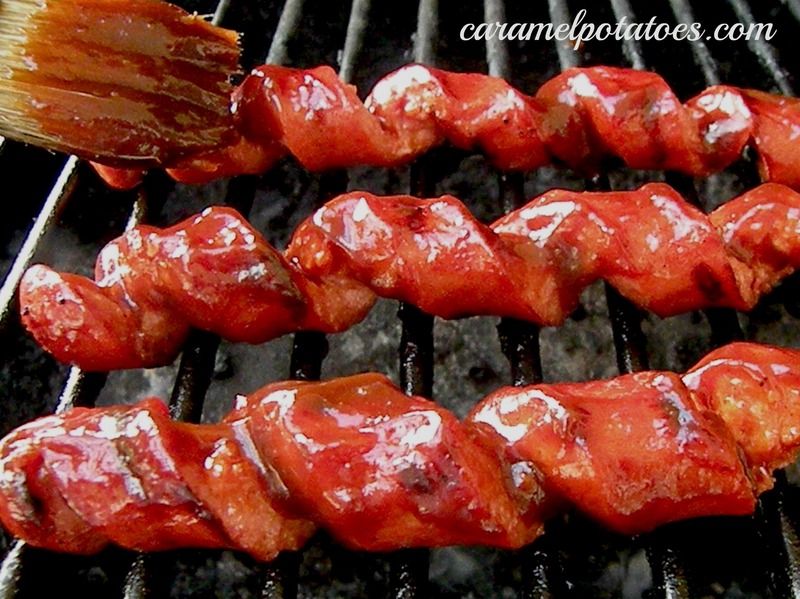 I seriously am trying this as soon as we grill hot dogs next!